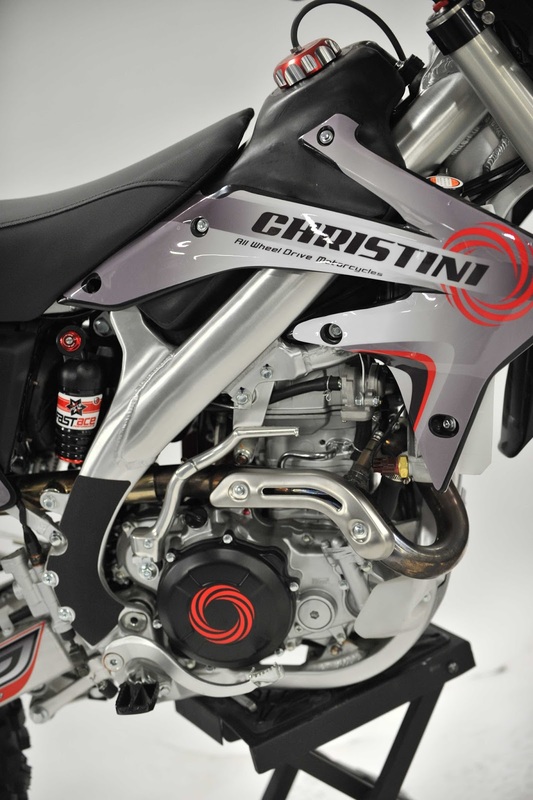 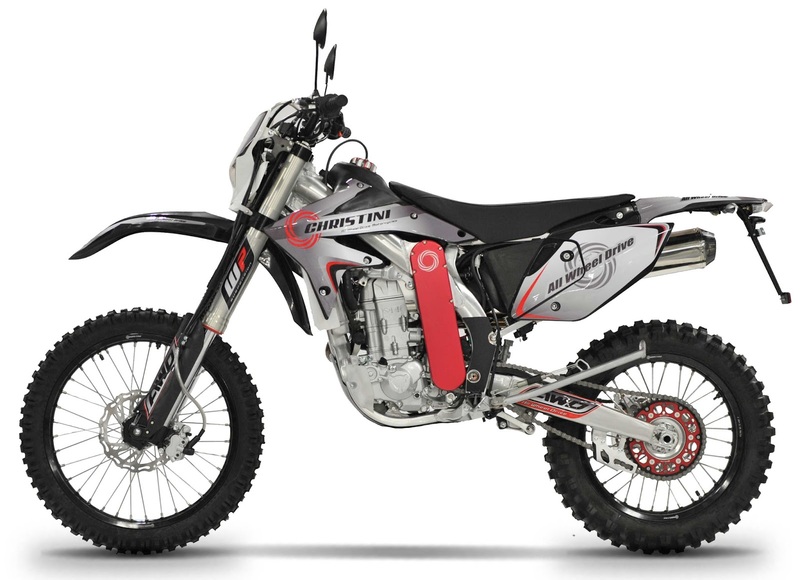 The Christini AWD 450 Explorer shares the same chassis and frame as the existing 450DS model, which are both based on the CRF450x. 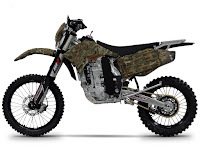 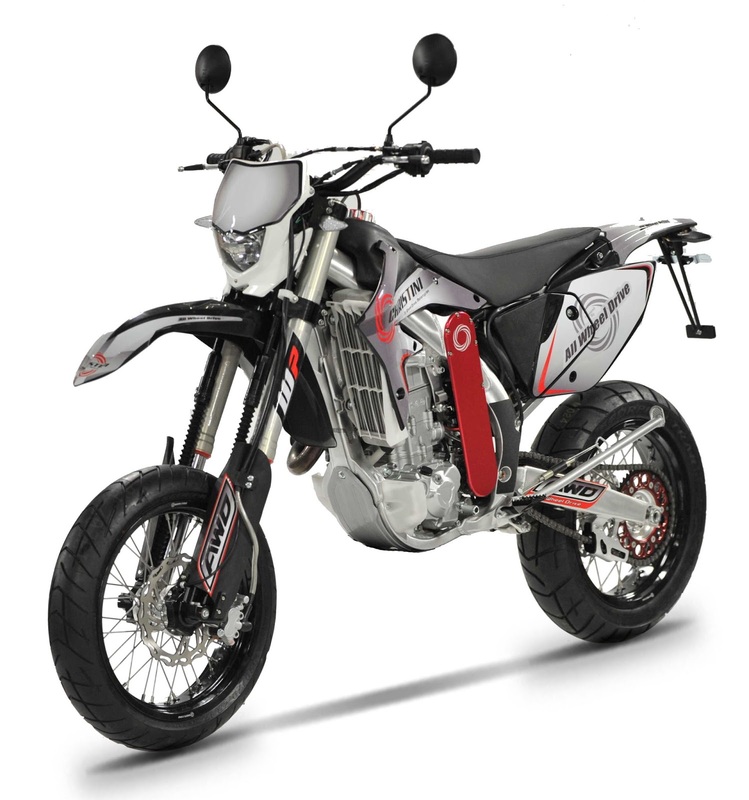 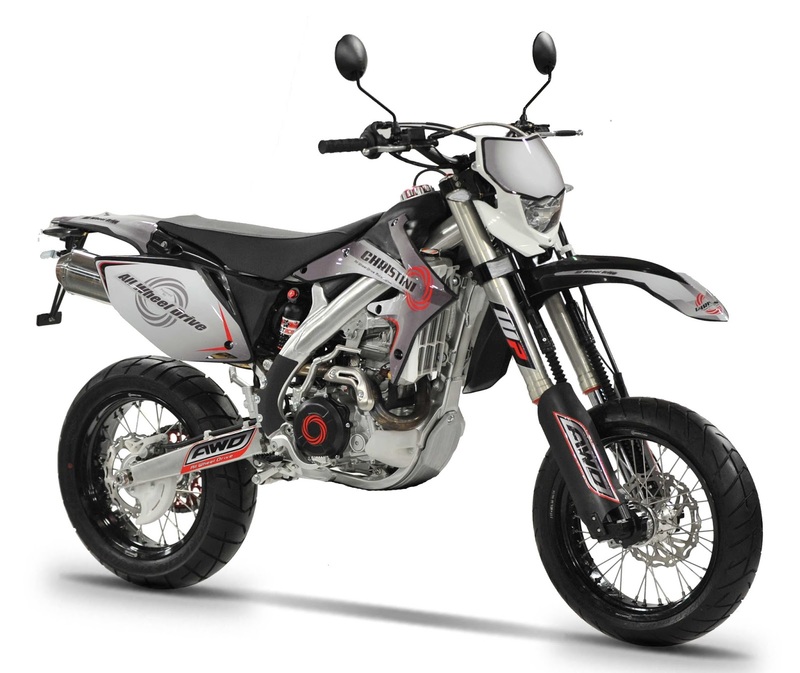 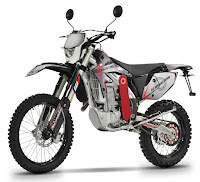 "The AWD 450 Dual Sport is an EPA and CARB approved street legal version of the off road 450, and includes DOT tires, lights, turn signals and mirrors. 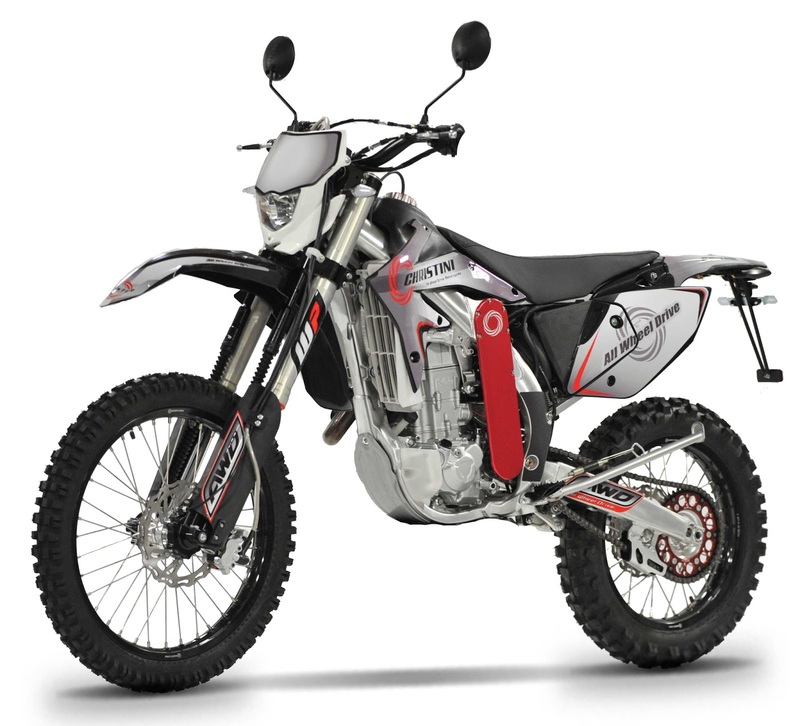 It uses the same motor and suspension as the off road, but is more geared towards adventure. 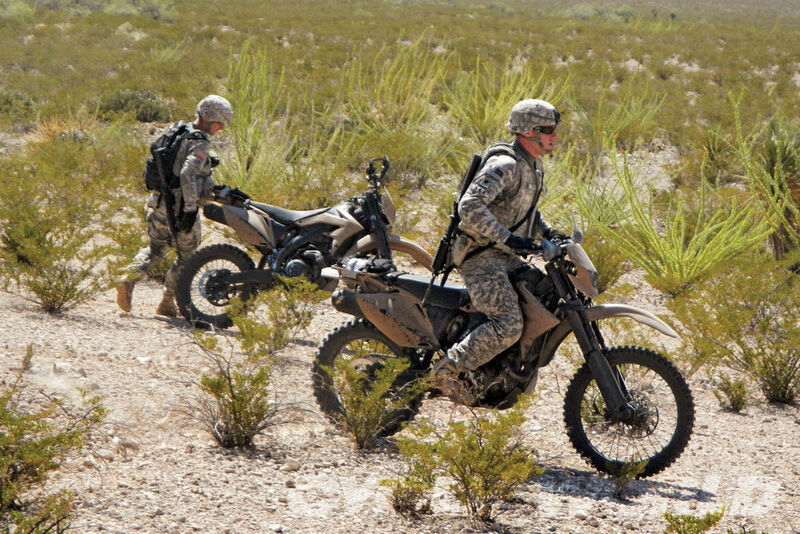 You can cruise the roads, hit the trails and explore. 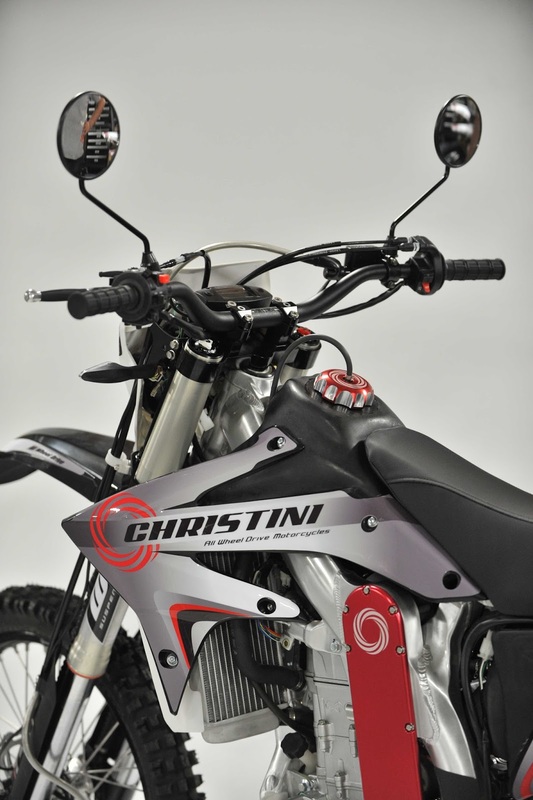 The CHRISTINI Dual Sport offers unsurpassed off road ability and the added safety of AWD on the road at a reasonable price. 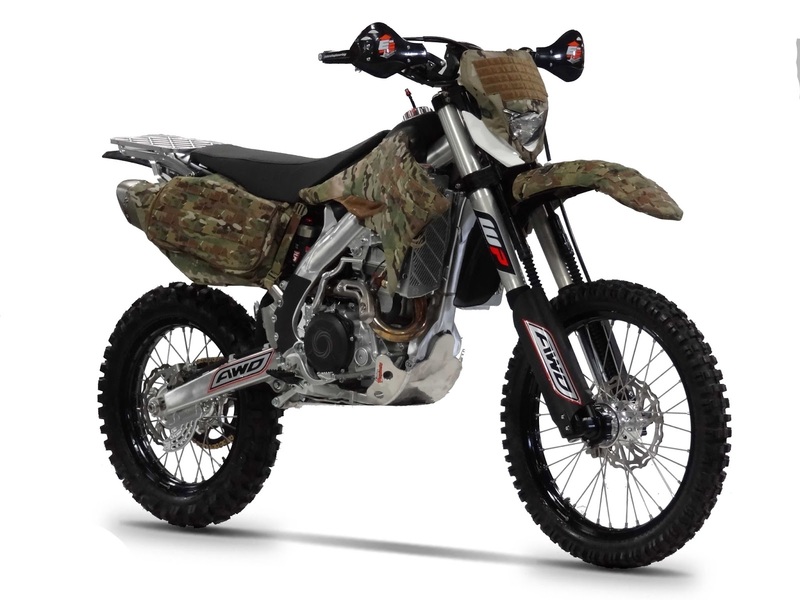 * MSRP excluding tax, license, registration, $350 shipping or destination charge." 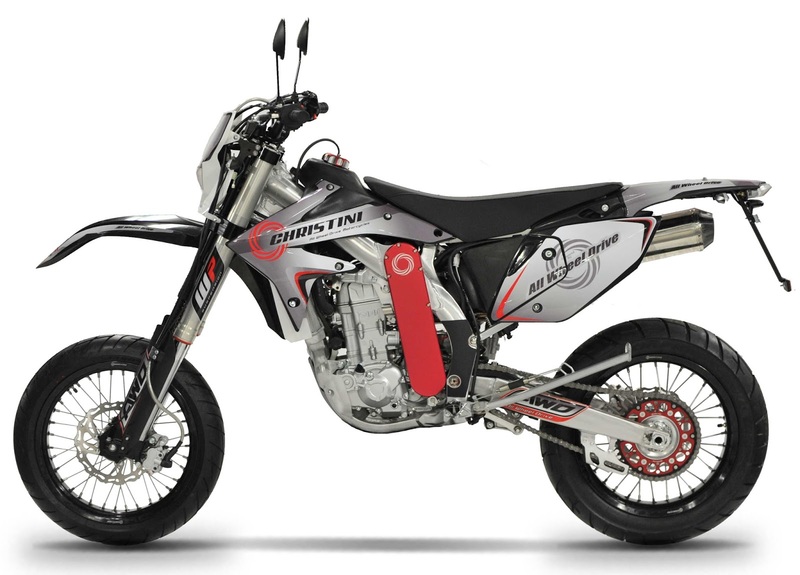 "This Bike is the ULTIMATE Dual Sport and Adventure Motorcycle platform." 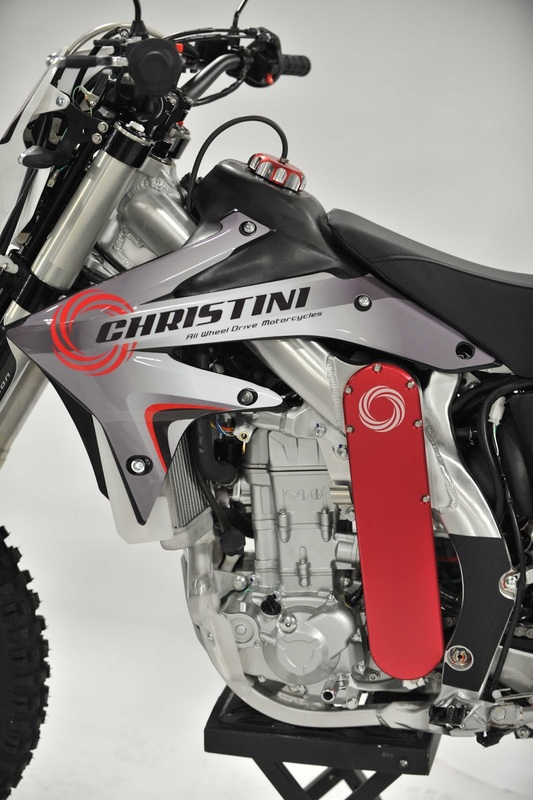 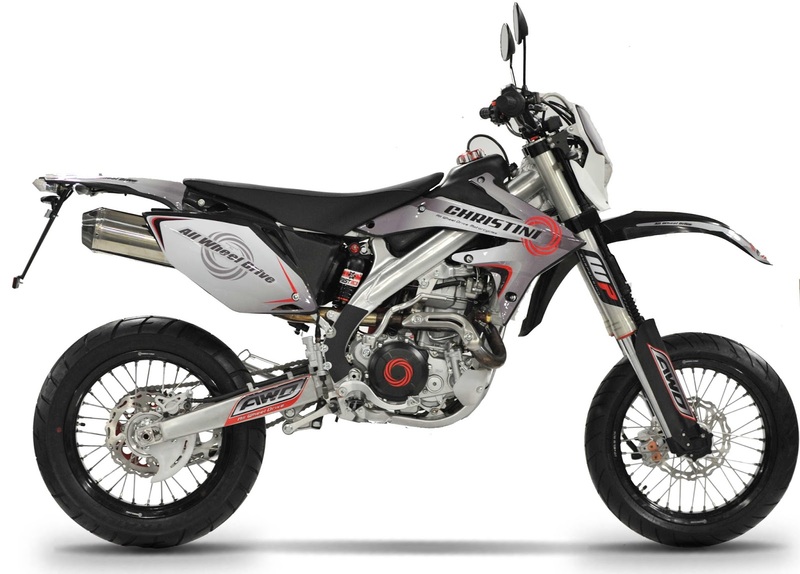 "The Christini 450DS is an all-wheel-drive(!) 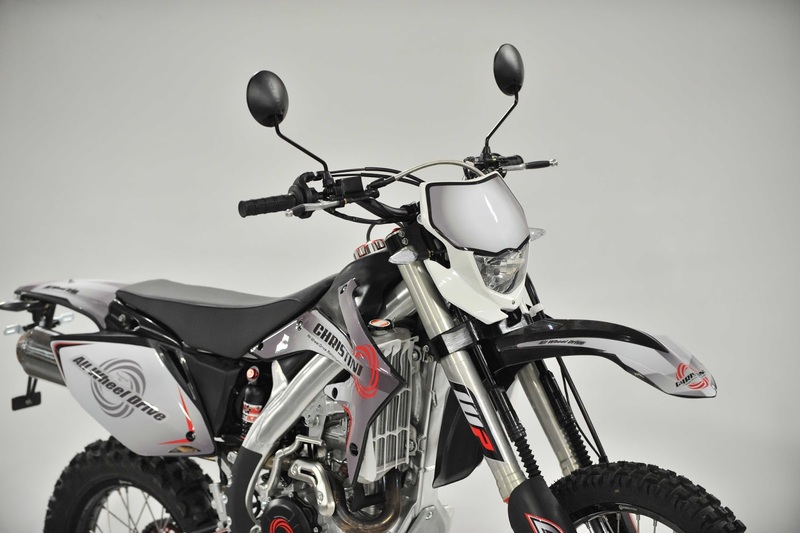 dual sport based upon a Honda CRF450X that is 50 State Legal and can be road registered." 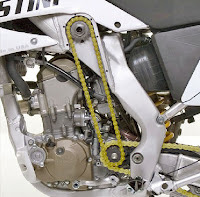 Power from the engine runs from a secondary countershaft sprocket, through a chain and up to a gearbox located inside the frame. 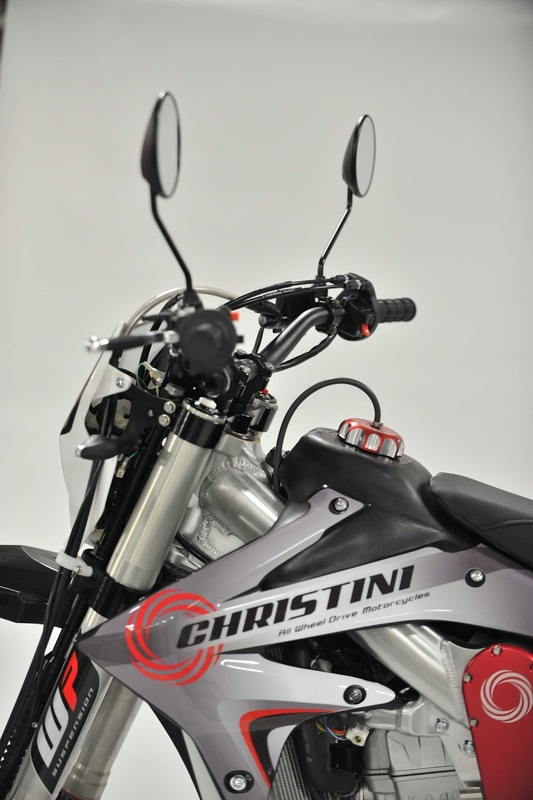 The cover that hides the secondary chain is one of the few visible clues that the Christini is unique. 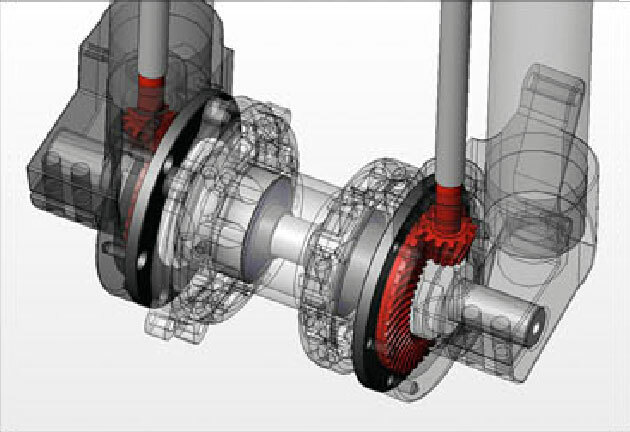 A drive shaft running under the gas tank connects the gearbox with the head tube, where bevel gears send power to the lower triple clamp. 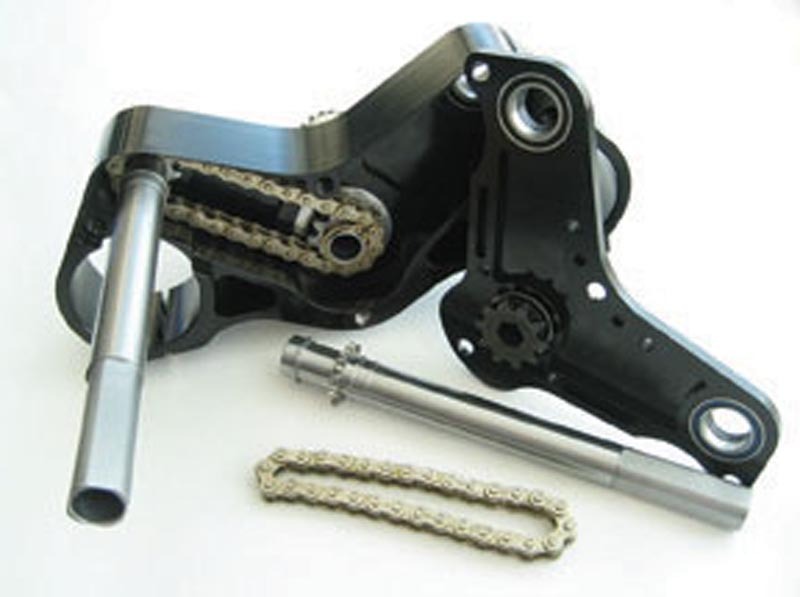 There, two counter-rotating chains take the power to drive shafts running down the front of the fork tubes and into the front-axle gearboxes. 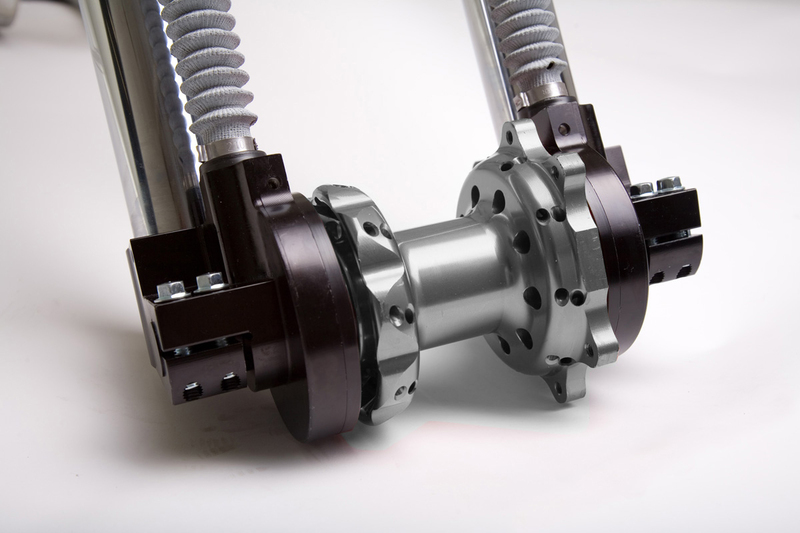 The drive shafts are a ball-spline design and can move up and down freely under torque. 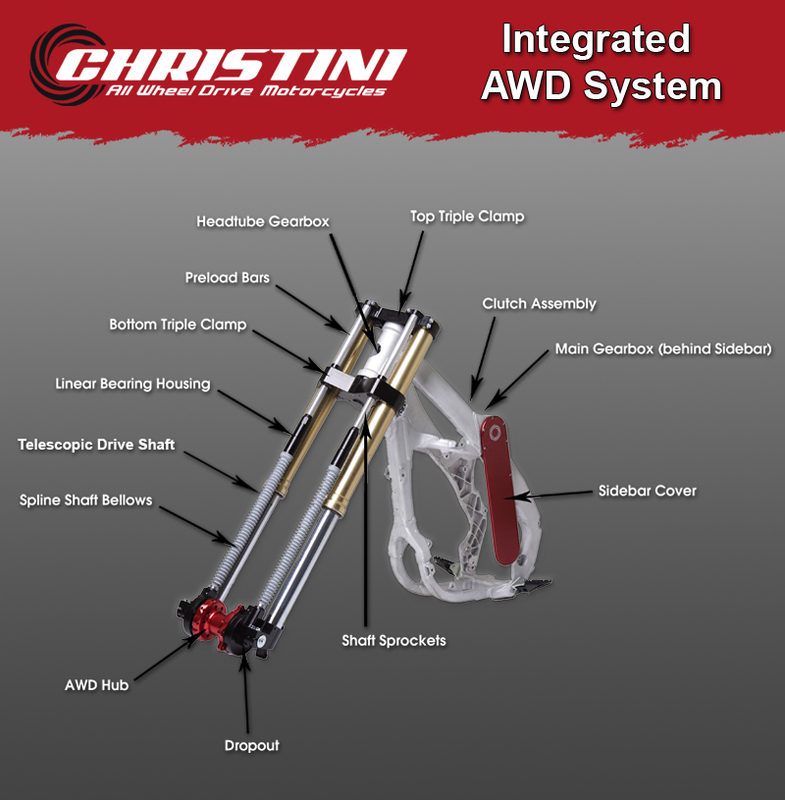 In fact, the front suspension has a full 12 inches of travel and is not limited by the drive shafts. 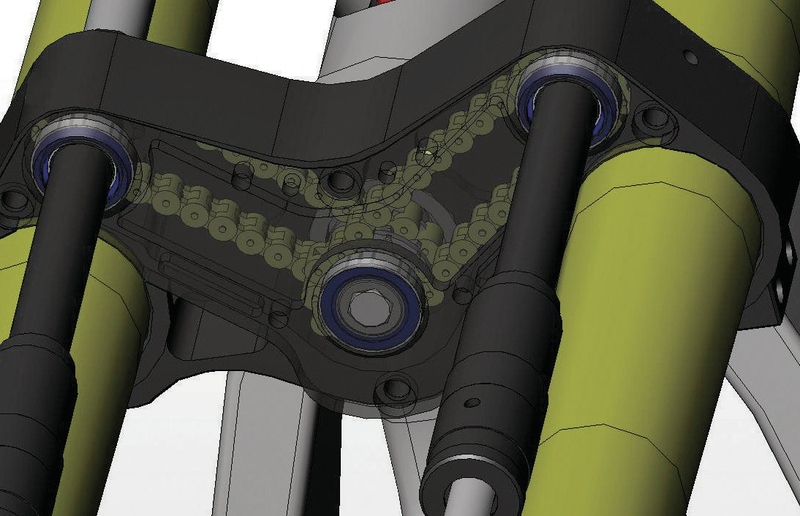 Counter rotating drive shafts eliminate the torque effect and slide to allow full suspension travel. 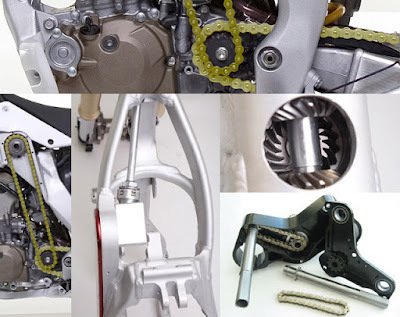 Power is fed from the front-axle gearboxes to the hub, which incorporates two one-way clutches, allowing the front wheel to transfer power when needed and freewheel otherwise. The whole system, which adds 12 pounds to the weight of the bike, is designed to transfer power to the front wheel only when the back wheel slips. 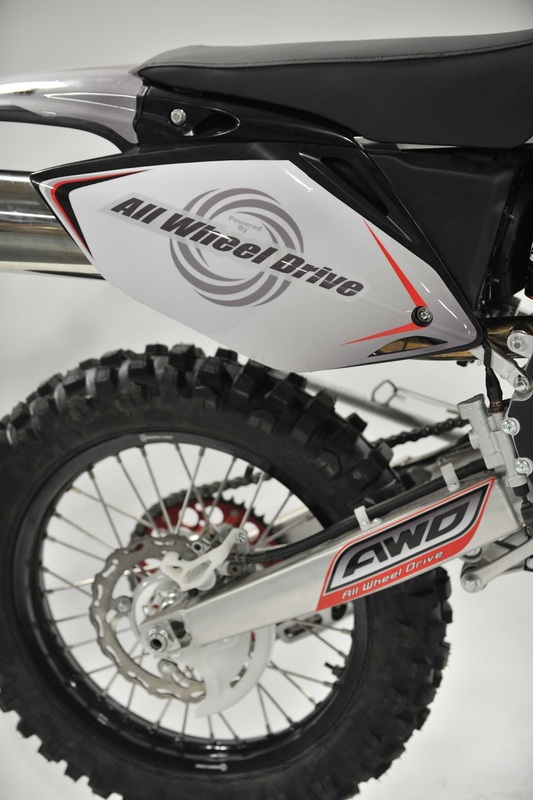 In automotive terms, it’s more like traction control between the front and rear wheels rather than standard four-wheel drive with both axles being turned at the same speed. 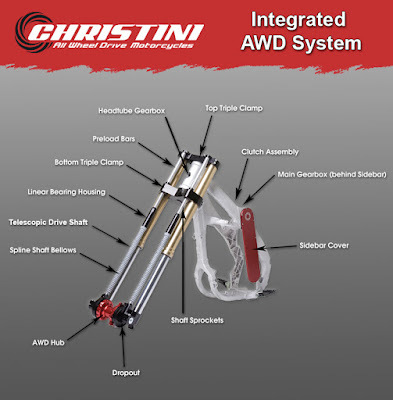 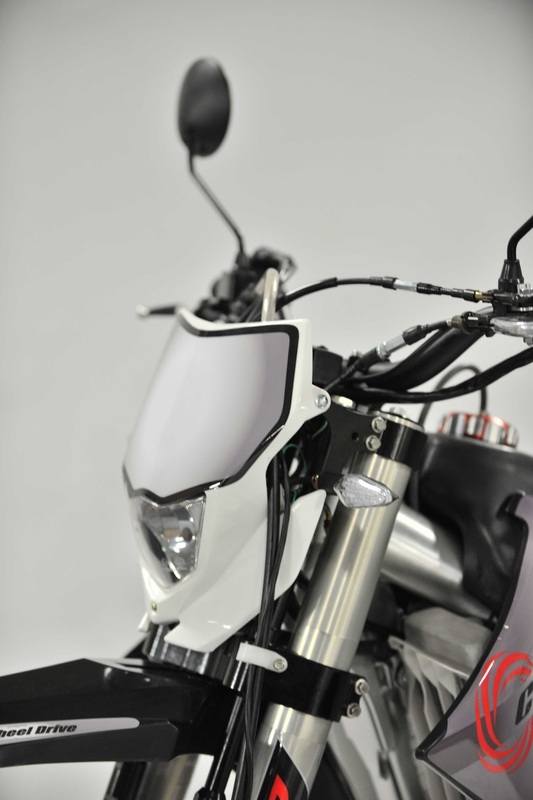 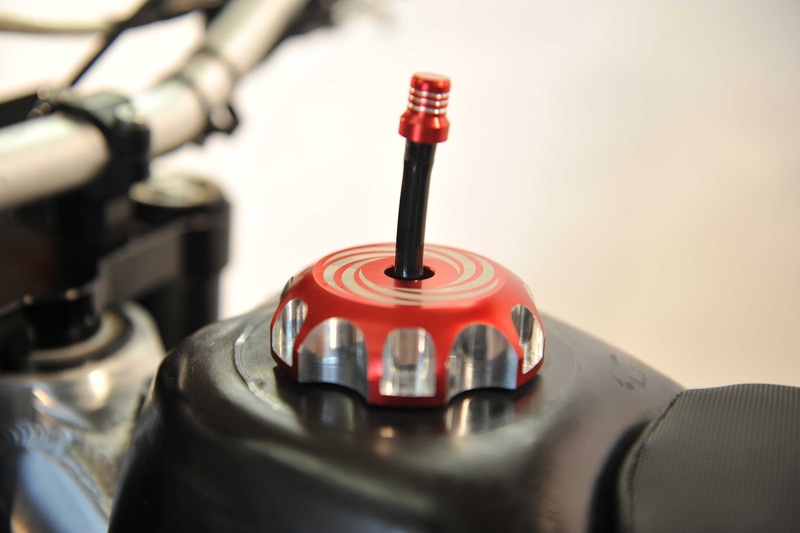 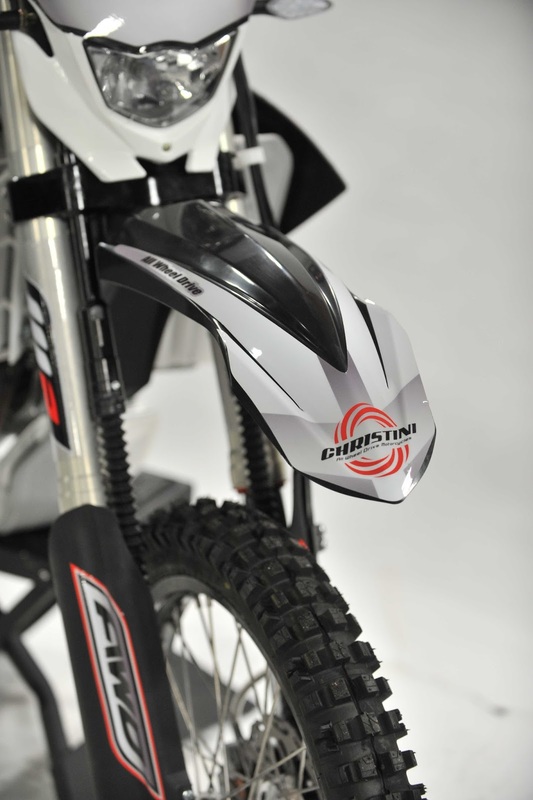 The system is fully sealed, lubricated and maintenance free, and can be disengaged with the flip of a switch turning the Christini back into a conventional bike. 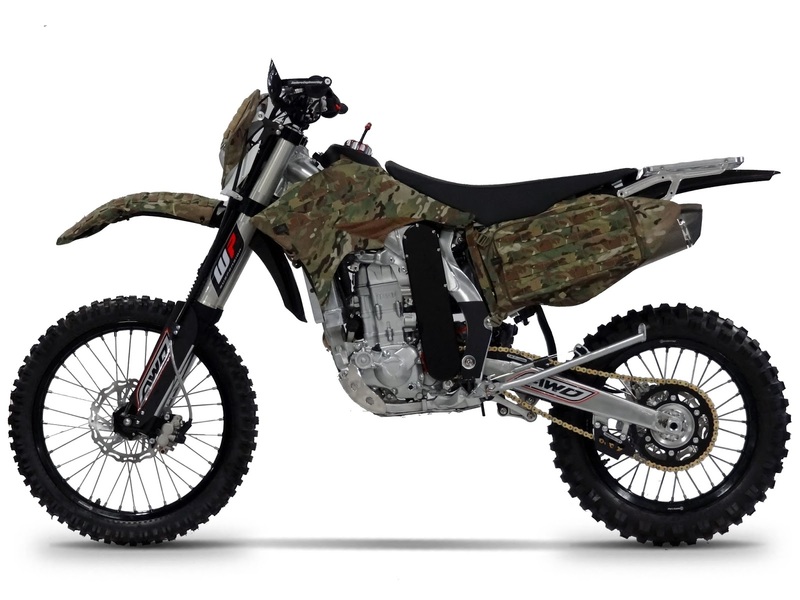 But disengaging the front wheel drive would defeat the purpose of having the world’s only true all-wheel drive production bike. 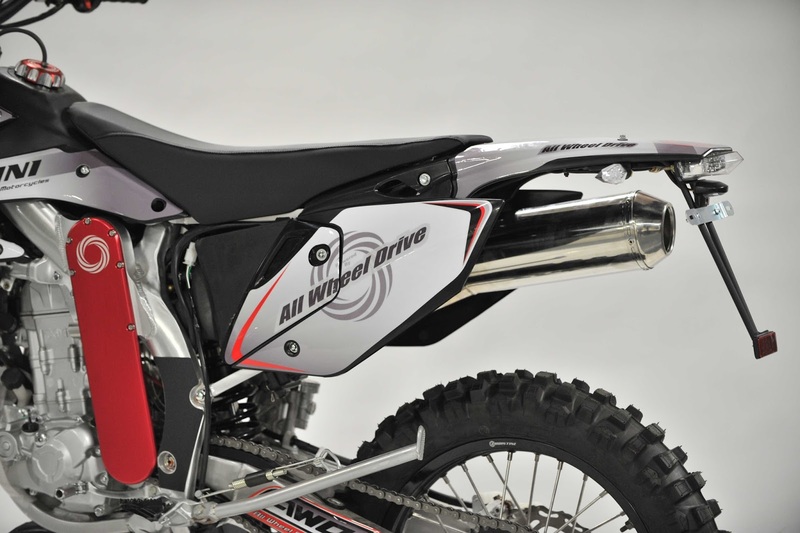 And in addition to bragging rights, there are real advantages to powering both wheels. 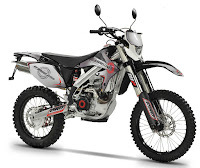 The most obvious reason is that all-wheel drive makes the bike much more capable off road. 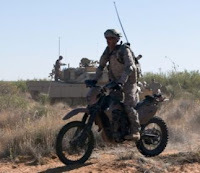 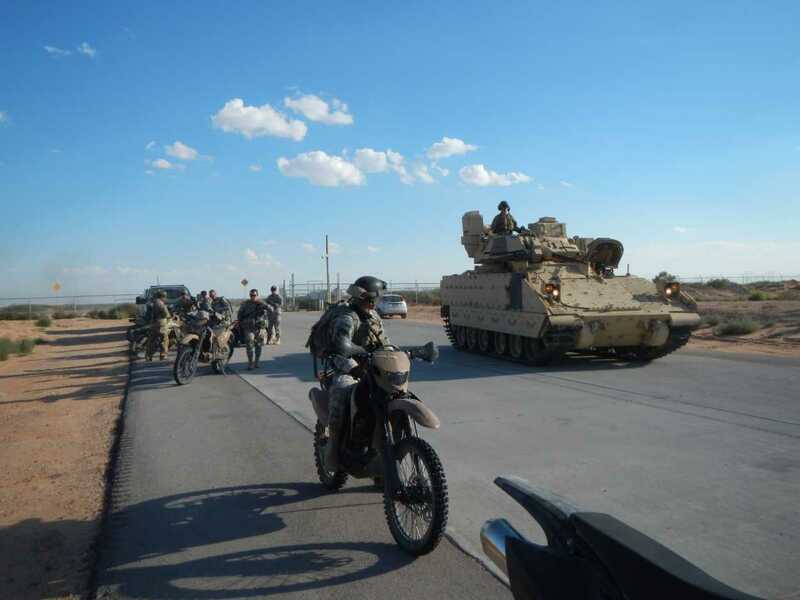 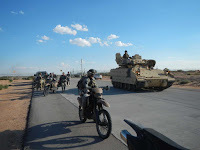 It’s so good that Christini bikes are used by the U.S. military as scout and reconnaissance vehicles, and by Border Patrol agents. Both users need exceptional capability in sand, mud, rocks and hills. 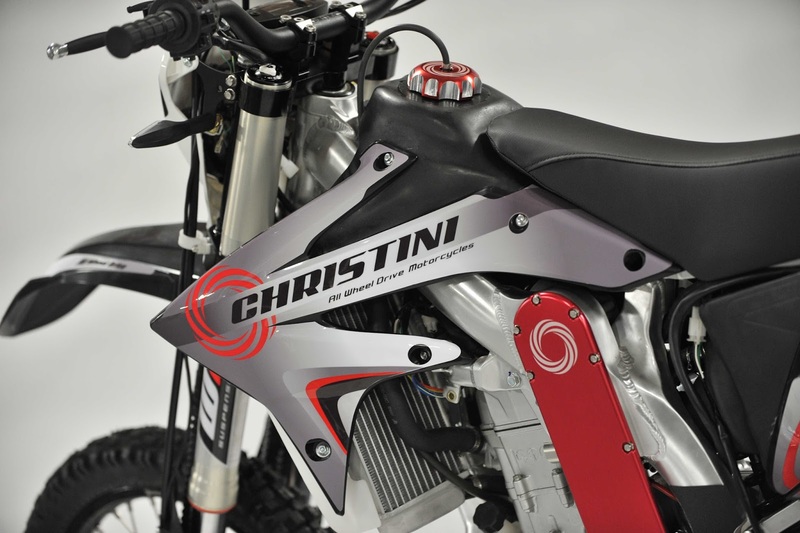 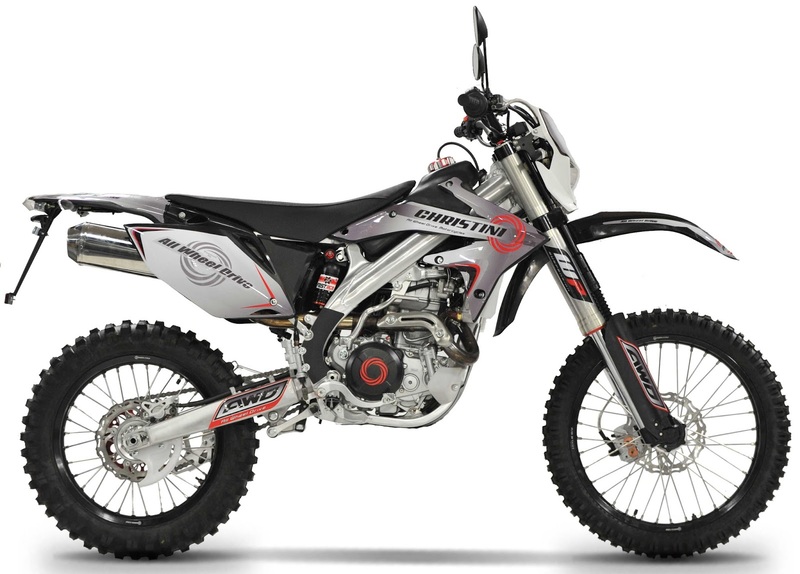 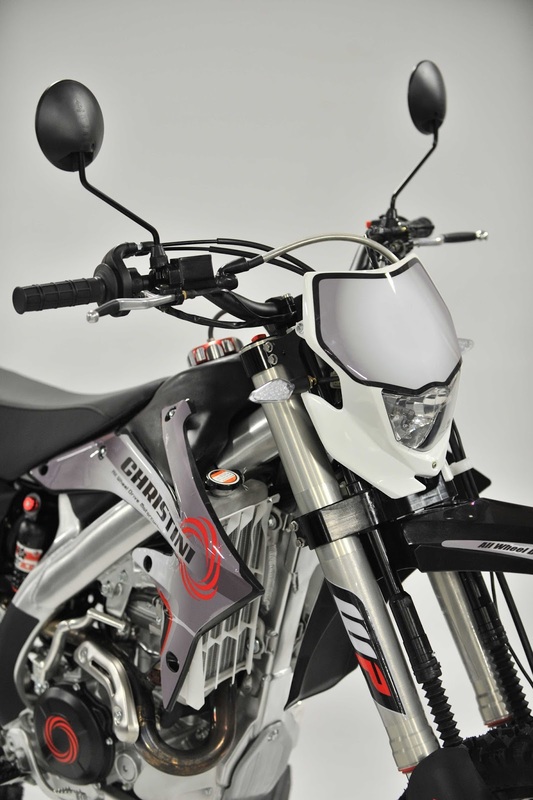 According to government testing, the Christini is 30 percent less fatiguing to ride off-road than a traditional motorcycle.